As a building owner, do you think very much about the roof that stands guard on top of your facility? The truth is, most building owners and managers don’t give much thought to the roof up above—until a problem develops. Your commercial roof is not only a huge financial investment, but it is the first line of defense that safeguards your building and its contents from Mother Nature’s destructive forces. Your roof is also the most vulnerable part of your building, and as such, it needs to be regularly inspected and maintained. Neglect your roof, and you put your entire building at risk. 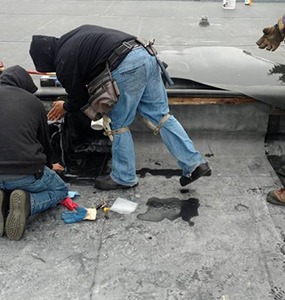 The experts at E & E Construction provide a variety of professional roofing services, including topnotch commercial roof repair to keep your roof in prime shape and help it fulfill the life expectancy it was meant to have. Give us a call today at (740) 331-0695 for all of your roofing needs. In life, big things typically start out as small things, and roofing problems are no different. 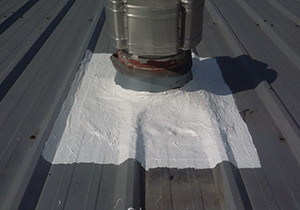 Something small, like a tear or a puncture, can snowball into a huge roofing problem as time passes—one that can result in your entire building structure being compromised. When a commercial or industrial roof is installed on a building, it is intended to be durable, efficient and to last for many years. But the fact is that any roof will develop problems over time, and if small issues are not caught early, they can escalate into huge, disastrous problems that put your whole building at risk and can lead to roof failure. Give us a call today for all of your roofing needs, big and small! You can speak to one of our roofing experts by calling (740) 331-0695. 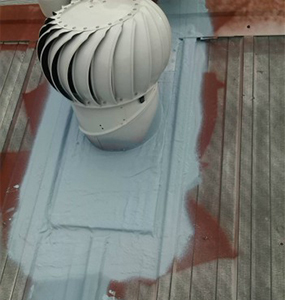 When building owners are in need of roof repairs, it is, unfortunately, all too common for the “solutions” they choose to include roof patching only. Patching and other temporary fixes are just that: temporary. They do not correct a roof’s problems and can actually lead to greater damage and higher costs over time. As with so many things in life, it is best to do it right the first time. That is where the E & E Construction team comes in. 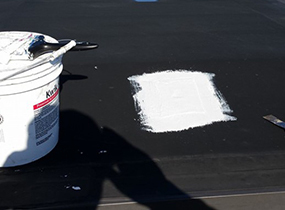 We have the professionally trained technicians, top materials, quality tools and cutting-edge solutions to correct your roof’s problems and do it efficiently and lastingly.